The smartphone represents an important part of our daily life and allows us to carry out a lot of activities. But the risk of a sudden failure of the phone is always around the corner, just a small fall for example that the screen becomes all black or that the phone does not turn on anymore. When we experience this unexpected we have two possibilities: the first is to go to a service center and get it repaired, the second is to say goodbye to the phone (especially if it is not new) but try to recover all data contained in it (messages, photos, contacts, etc…). Below we want to focus on this second scenario and show two methods to try to recover and transfer data from broken phone on PC. 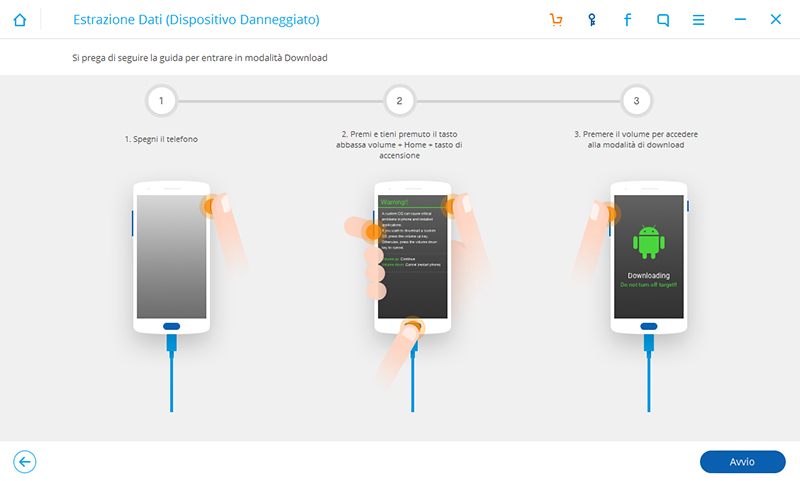 Step 1: carefully attach the USB data cable to your Android smartphone and connect it to your PC. Step 2: wait for your PC to install the necessary drivers and show the smartphone as a new driver. Step 3: Open My Computer and find the name of your Android smartphone. Step 4: Double-click on the smartphone name and you can see all the media files and documents that are stored in the Phone’s internal and external memory. Step 5: Select all the files you want to transfer to your PC and copy and paste them into the desired folder. 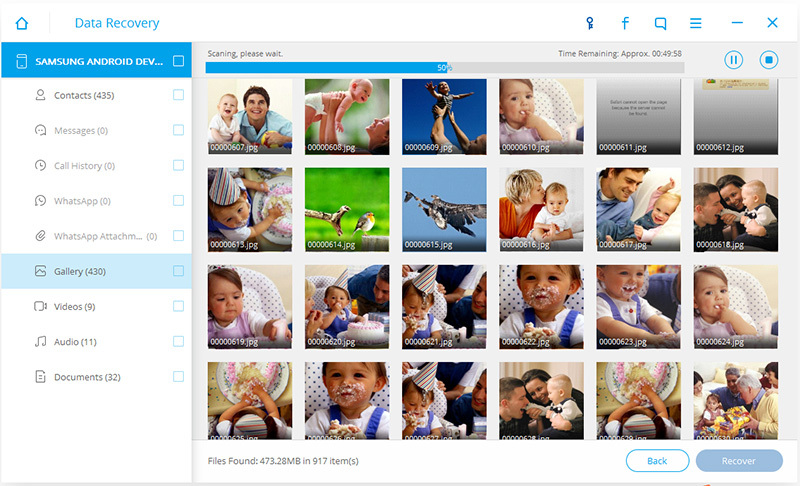 NB: This method can only retrieve media files (photos, Videos) and Documents. Other data such as SMS messages, chat whatsapp, contacts, notes, call logs, cannot be recovered by this method. Read the second method to try to retrieve this last Data. If your smartphone has important contacts, messages, notes, calendars, Call logs you don’t want to lose, you need to use third-party software like dr.Fone Toolkit. This program guarantees the highest success rate in the Industry. It also allows you to retrieve contacts, SMS messages and chat whatsapp, notes and other private data from your broken Android phone. It can be a real “lifesaver” program and can really save you from an embarrassing situations. It is available on Mac and Windows and works with over 600 smartphone models. Let’s see how to use this program to transfer data from your damaged Android smartphone onto your Windows PC. 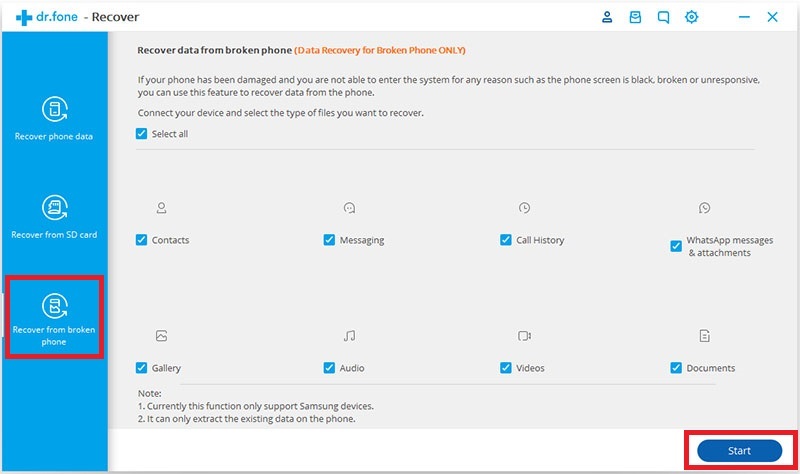 Click on “RECOVERY” section and connect your broken phone to your computer via USB cable. In the next screen click in the lower left corner on “recovering from Broken phone” and select the data you intend to retrieve and transfer to your Computer. Select the type of the fault of your Android phone: problem with the touch screen or broken screen. 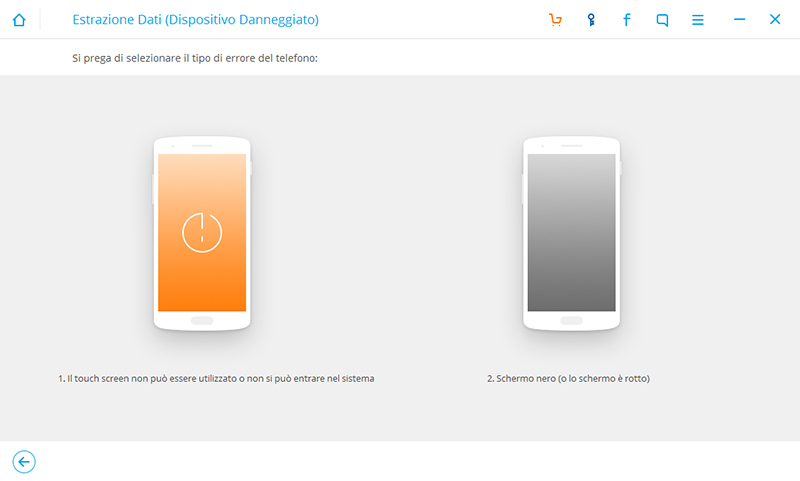 In the next step select the model of the phone. 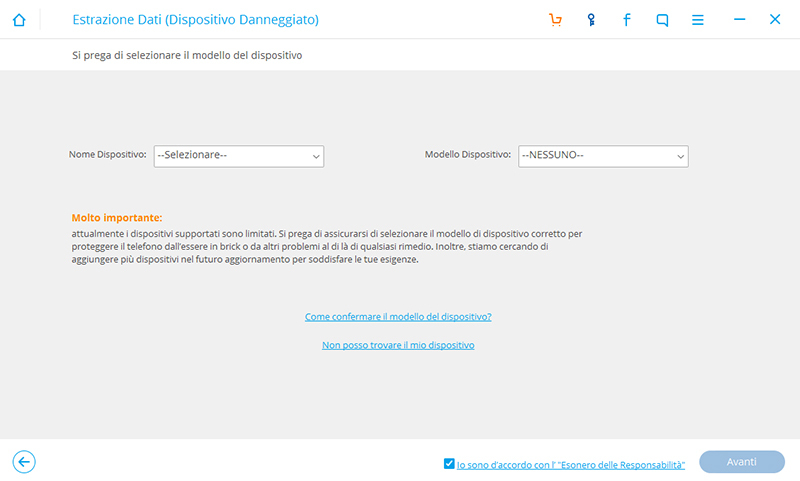 Unfortunately not all models are supported for such functionality, so if you do not appear the model of your phone you can not do anything….